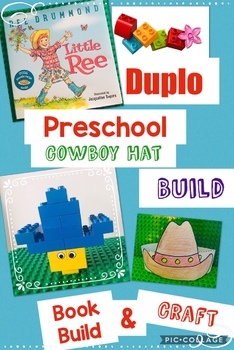 Your Preschoolers will love this fun Cowboy Hat, Jr Engineers Class! Included in this fun pack is full instuctions for a sweet storytime with your copy of Ree Drummond's new book, "Little Ree," full instructions to build a Duplo® brick Cowboy Hat and a fun cowboy craft take-home. I hope you enjoy!